Is done. As mentioned in my last post we were pretty busy the last week and a half or so, but we managed to get everything finished yesterday. Now we get a quick break and start cutting first crop hay on Monday, so another few days of long hours! 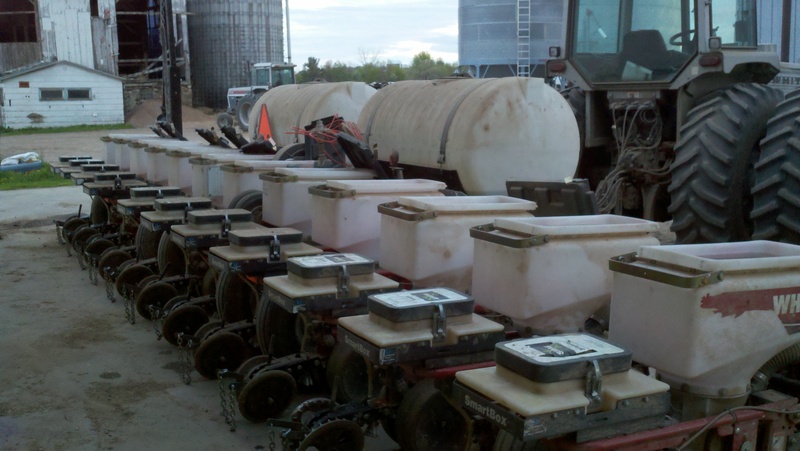 Planter getting serviced and different seed put in, which required different seed plates. Note the lack of insecticide box’s on the back. 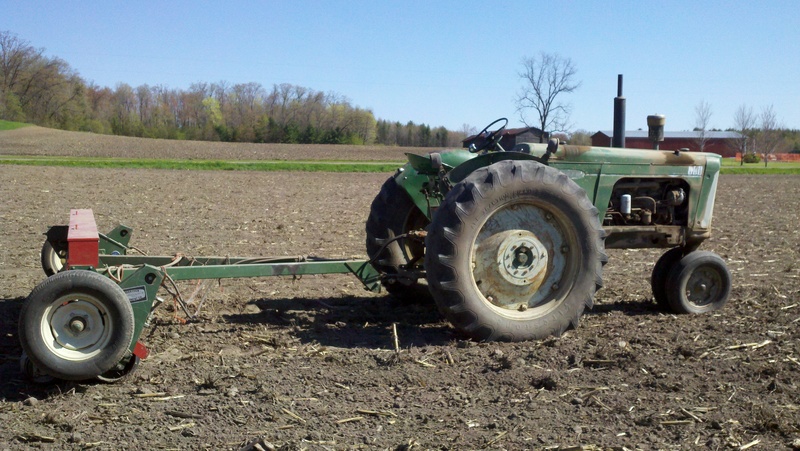 We planted 450 acres of soybeans, and I didn’t get one picture of planting! 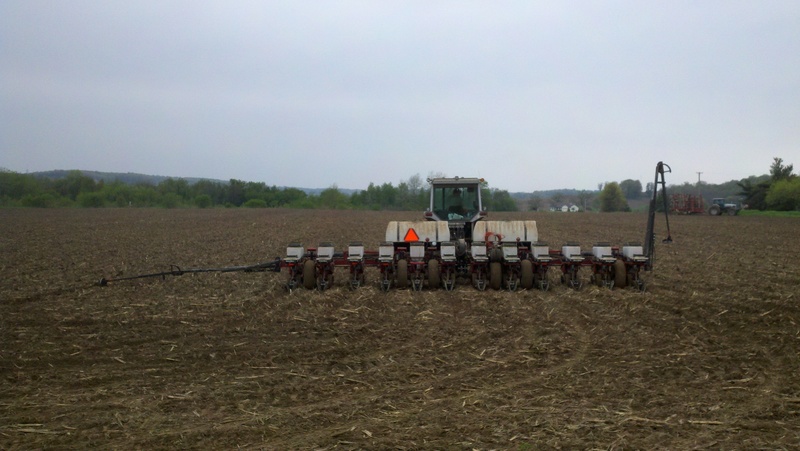 The planter is basically a smaller version of the corn planter with split rows, so that it plants 15″ rows instead of 30″ like the corn planter. Pretty high-tech equipment we have for seeding alfalfa! 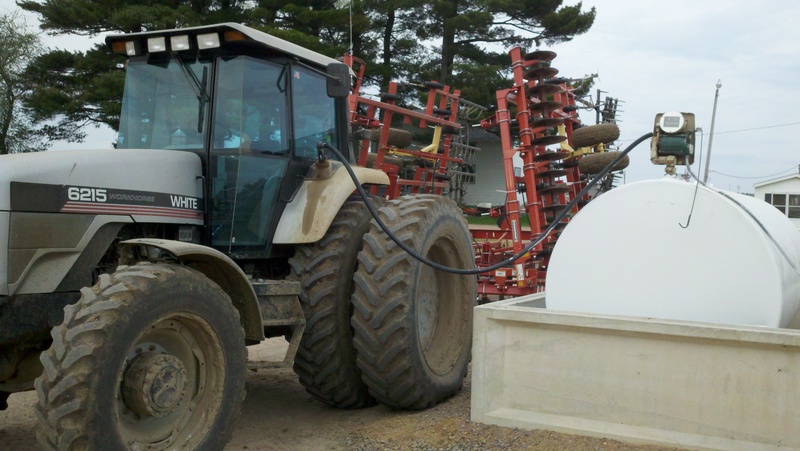 We roll all of our soybean and alfalfa ground with this. It makes the field very smooth and pushes any rocks that didn’t get picked down so that they don’t break the sickles when we cut. Make for some very smooth fields which are nicer to drive across, and can be safely cut closer to the ground. 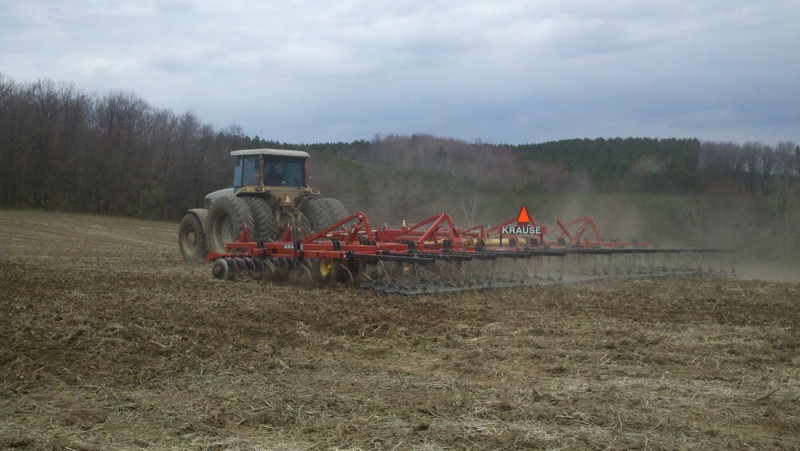 We would have no-tilled a bunch of a corn, but thanks to the cold wet spring most of our ground at least got worked with this to help the soil warm up and dry a little. 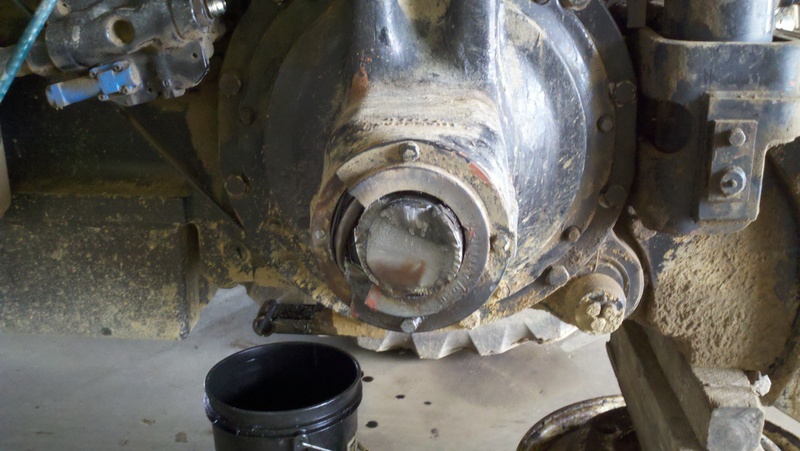 Somewhere around 2300 gallons of fuel burned by my estimation. She is back on her feet now. Glad it happened close to the shop, and not going down the road or on the edge of a tall silage pile! 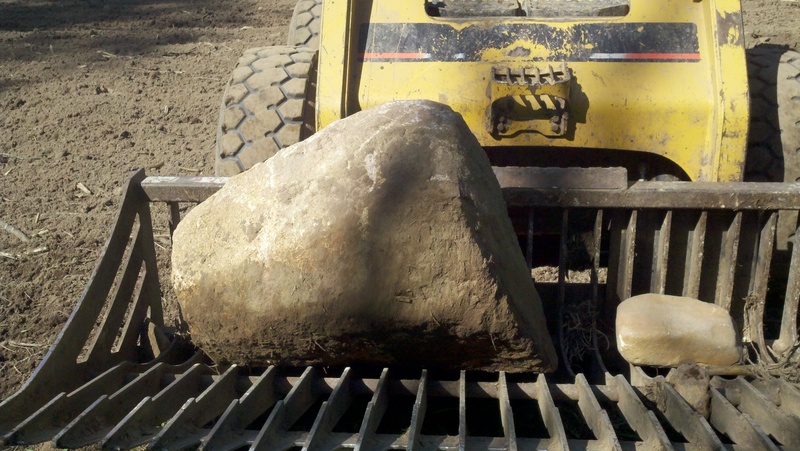 My friend Todd wanted some rocks….come and get it Todd! Planting is a bit of a blur, the few good pictures I have don’t do justice to the season. Most days we had 4-5 tractors rolling, spread out over several miles. Takes some coordination to make sure everyone is getting to the fields in the correct order so that they are ready to go for the planters, and the planters don’t run out of seed! We essentially went from almost no work being done in the fields to completely done planting in about 1 1/2 weeks, with a couple slow days because of rain. 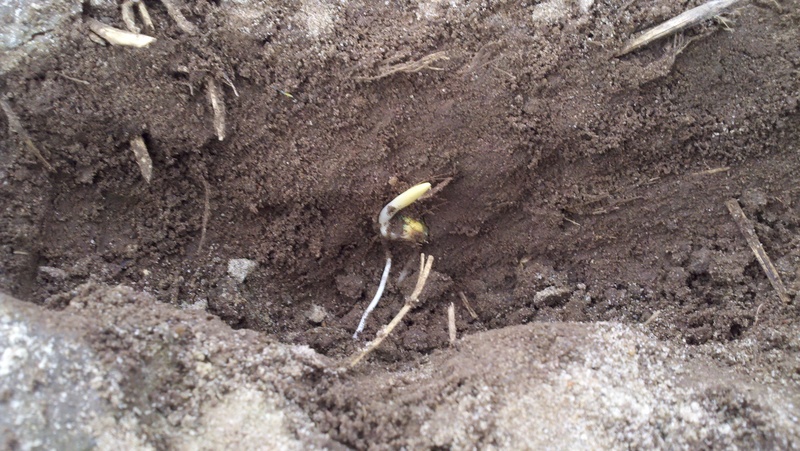 Corn, putting down roots, and pushing up leaves. Love the photos! And I DO want the rocks! 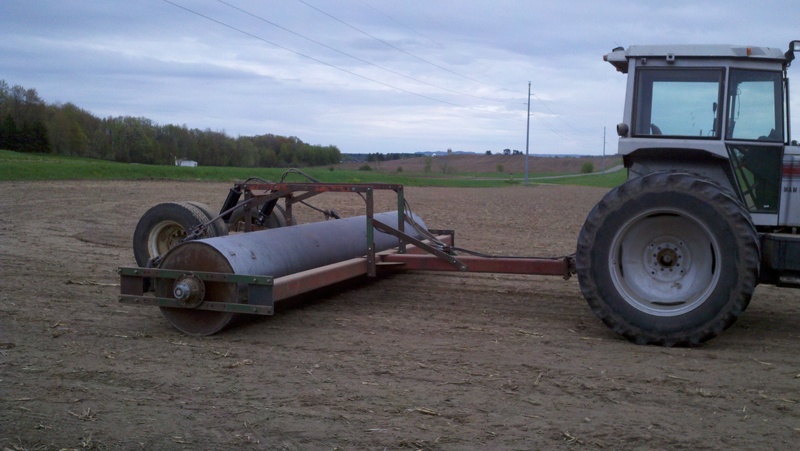 Can you bring the roller to my house and roll my yard?